The stakes are high in family law disputes. Family law often tugs at a person's core values - children, hard-earned assets, and integrity. Lindsey's experience in family law matters helps guide clients through the legal process, carefully analyze the various options, and provide a straightforward, honest opinion as to the potential consequences. I'm getting married soon and am unsure whether I need a premarital agreement. I want to divorce by spouse but I'm afraid. What can I do? I want to modify the Court's Order to get more visitation with my children. What's the difference between legal custody and physical care? Is shared care an option? Do I have grounds for lowering or increasing child support / alimony? My spouse and I have agreed to get a divorce, our parenting schedule, and how we'll divide our assets and debts. Can we get a divorce without spending tons of money? How do I get or defend a temporary restraining order? All too often people fail to capitalize on the fresh start they receive after a divorce. For example, failure to change the beneficiary designation of life insurance policies or retirement plans may result in the person's ex-spouse inheriting that money, a result the client clearly would not want. See U.S. Supreme Court ruling in Hillman v. Maretta. Also consider the potential for retained benefits of a marriage (e.g. the right to elect against a former spouse's social security benefits). 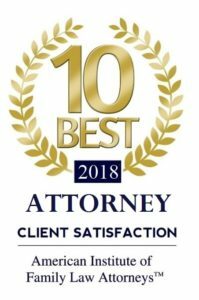 Buchheit Law strives to create long-lasting relationships with clients to ensure they receive the guidance and counseling necessary to meet their ever-changing needs and goals. The firm assists individuals with needs in family law, estate planning and probate, and general business.